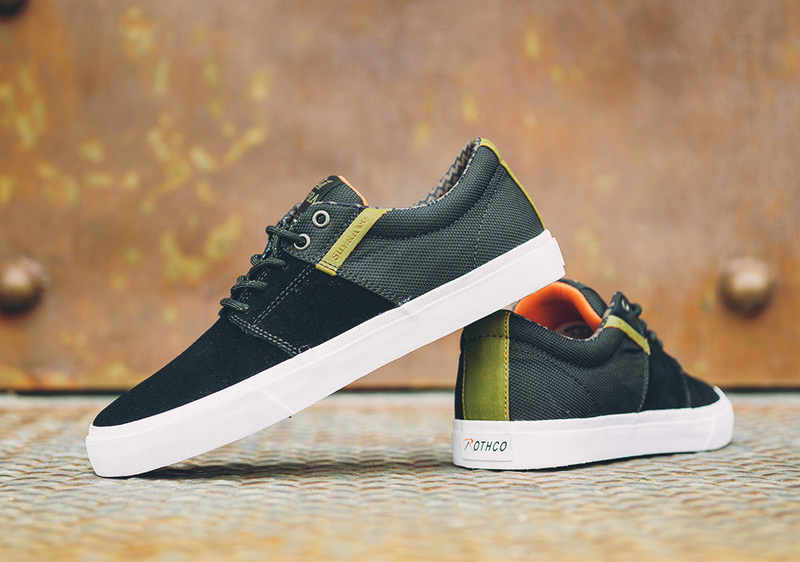 December 10, 2014 by Aaron Kr. 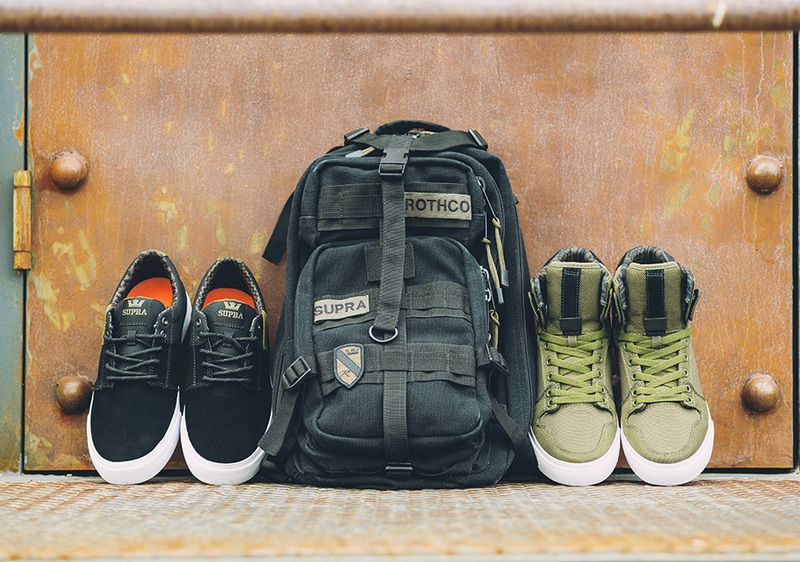 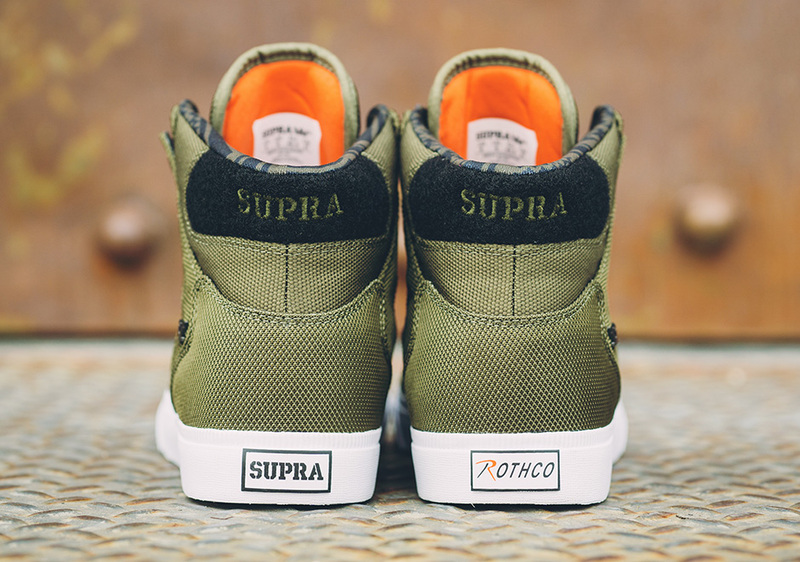 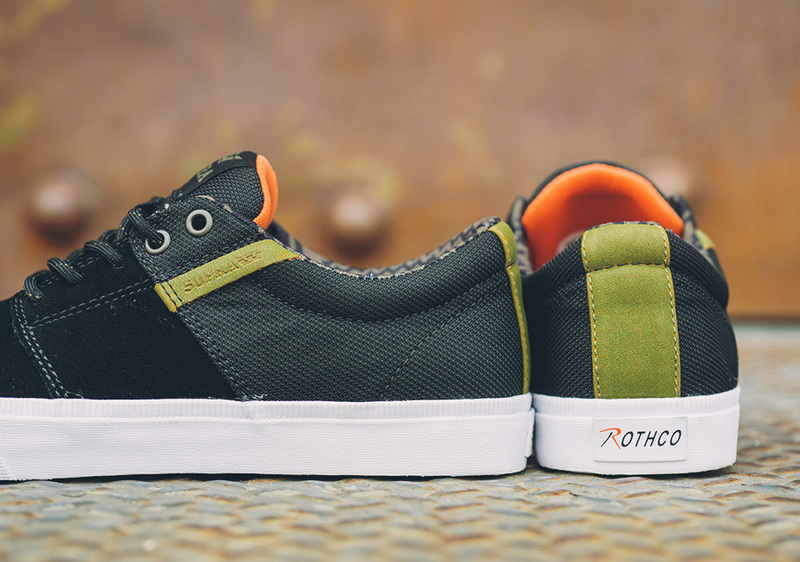 Coming off last month’s The Hunger Games capsule, Supra returns with another interesting partnership, this time joining forces with military/outdoor supply company, Rothco, for a rugged new pack with some premium touches. 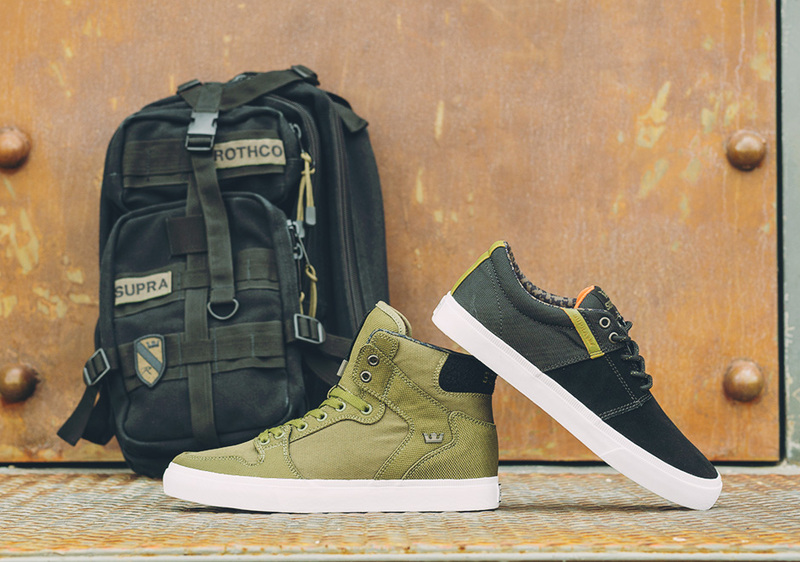 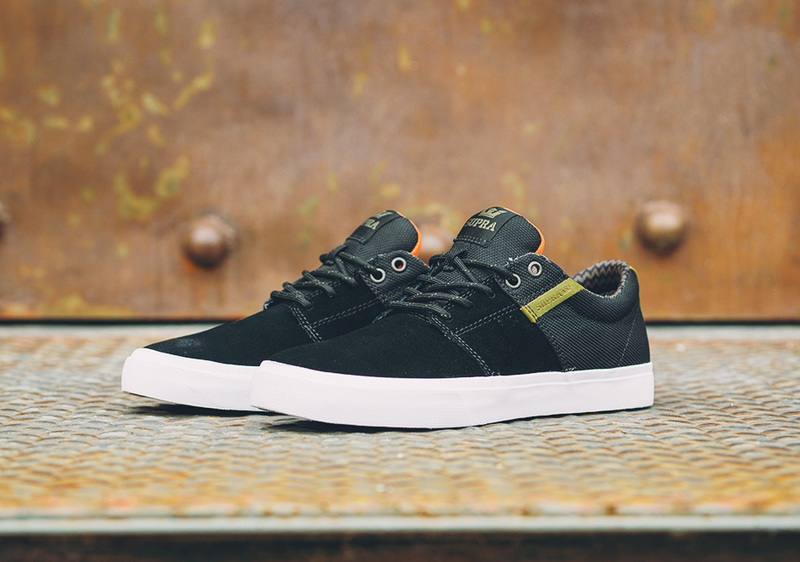 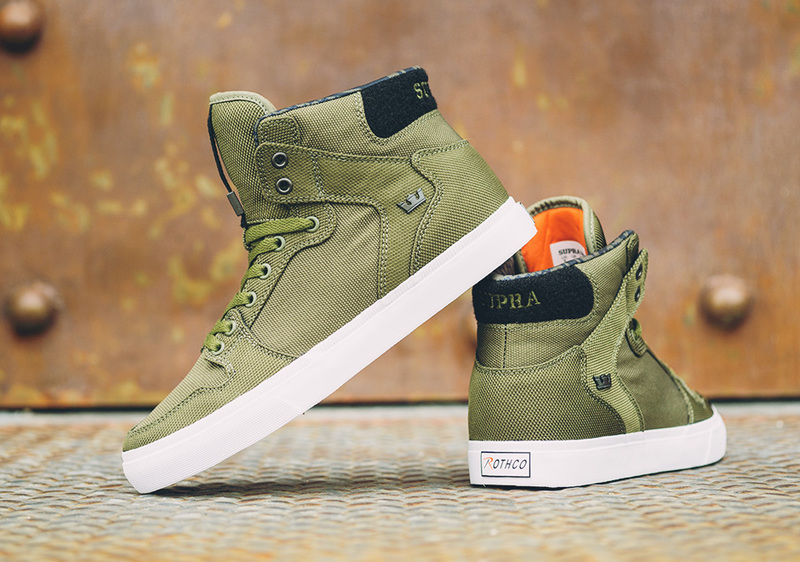 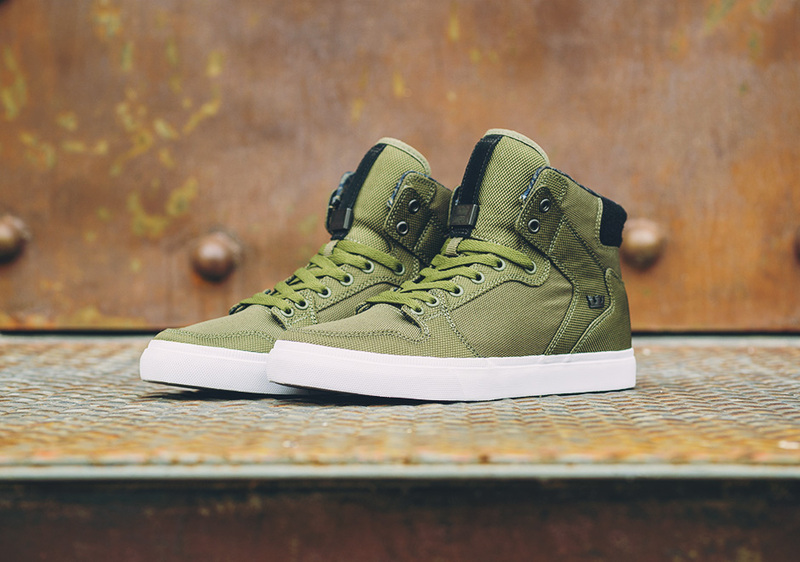 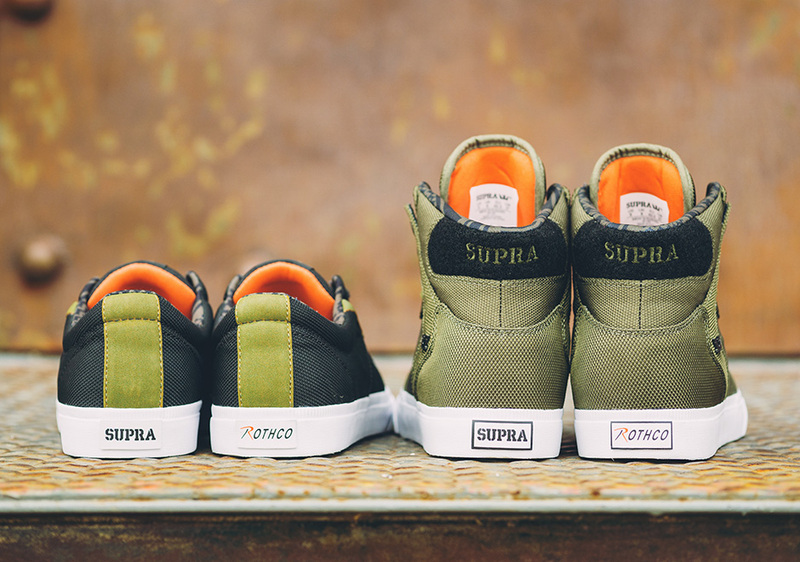 The footwear portion features two of Supra’s most popular silhouettes – the Vaider in full olive ballistic fabric with a velcro heel collar and the Stacks Vulc II in a combination of black suede and ballistic with leather accents. 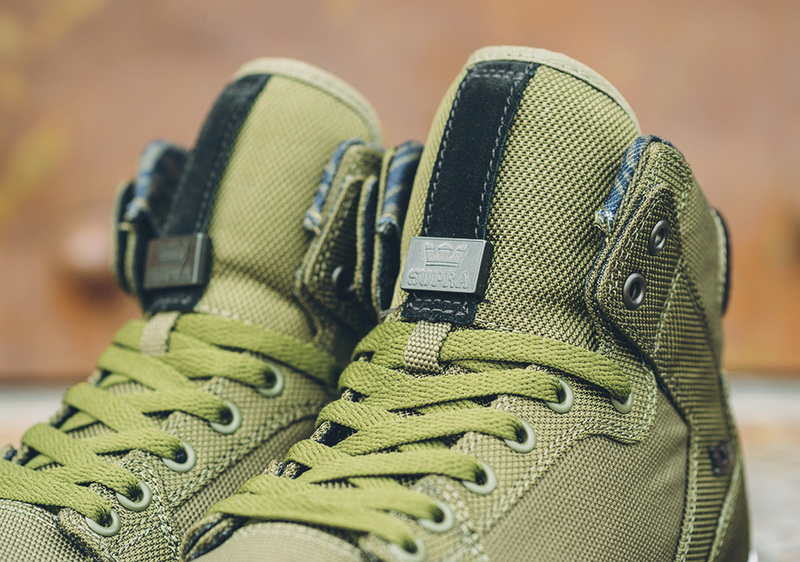 Both pairs feature a lining pattern taken from shemagh tactical scarves, as well as co-branded heel scabs, footbeds, and hangtags. 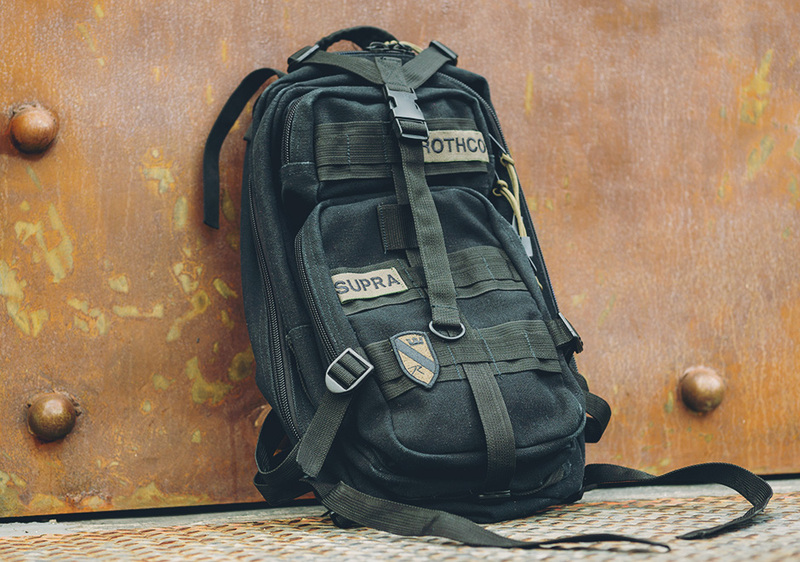 Finishing off the collection is a Medium Transport Pack equipped with a multitude of zippered storage compartments with water repellent linings and a variety of other utility features. 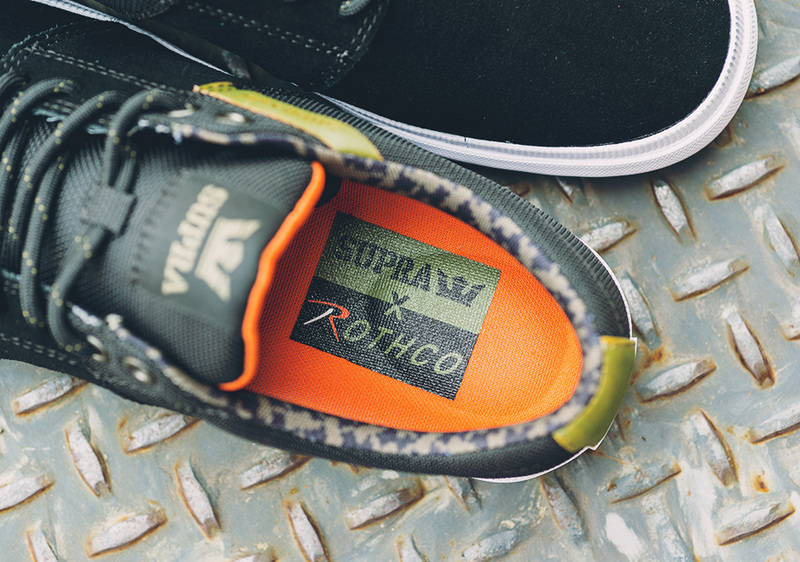 You can check out a detailed look in the pages ahead, and watch for the Rothco x Supra pack arriving at select global retailers on Monday, September 15th.